Whenever a plaintiff (or plaintiff’s surviving family members) files a mesothelioma lawsuit in Boston, we are dealing with what is known as a products liability matter. A products liability matter involves a plaintiff who was injured or killed as a result of product manufactured, sold, or distributed by defendant. In many cases there will be multiple defendants as the law allows plaintiffs to sue anyone in the supply chain of a product as long as they actually had some role in getting the product to the injured plaintiff. It is possible there must be levels of liability apportioned among the parties, but the courts often leave this job up to defendants as they are in a better position to do so, and it should not matter to plaintiff which company pays which portion of the damages awarded in the event of a successful Boston mesothelioma case. Failure to Adequately Warn of a Known Danger. Manufacturer or Sale of a Defective Product. Failure to warn of a known danger is often the primary cause of action in a Boston mesothelioma lawsuit. The simple reasons is these companies knew they were making products and selling them which were very hazardous to human health and caused a deadly form of cancer known as malignant mesothelioma. These companies tried to claim for many years they were unaware of the dangers of asbestos, but we know this is not only untrue, but an intentional lie where they chose profits over millions of peoples’ lives as our Boston mesothelioma injury lawyers can explain. Asbestos products were and still are man made, but asbestos is a naturally occurring mineral. While it was not commercially-mined until the U.S. and European Industrial Revolution, it has been used by various civilizations for thousands of years as it is naturally resistant to heat, fire, caustic chemicals, and electricity. Researchers have found historical records from over 2,000 years ago in ancient Greece where an asbestos sickness was described. In the 1800s, it was well known asbestos caused serious illness and death, and in 1924, the first case of malignant mesothelioma was formally diagnosed according to the British Medical Journal. There is no question those in the asbestos industry knew full-well just how dangerous asbestos was, but they also knew it would take up to 50 years for anyone to develop noticeable symptoms, and they would die soon after, so they did everything in their power to keep that information a secret. This include outright lying to consumers and those in allied industries like the construction trades. This is why the main claim is failure to warn of a known danger. There was a danger to being exposed to asbestos fibers. When a person ingests or inhales them, they become trapped in the body and the body has no way to expel them. These sharp fibers do all kinds of damage and eventually can metastasize into a deadly cancer known as malignant mesothelioma. When it occurs in the lungs, as it does in over 90 percent of the cases, according to Clinical Advisor, but it can also form in the chest cavity or the abdomen where it is just as deadly. Despite full knowledge of these dangers, asbestos companies did not adequately warn foreseeable plaintiffs of these serious risks and this falls below the standard of care required for the maker of goods. Manufacture of a defective product is another claim, which may be brought in products liability cases. This issue whether it is actually defective. Asbestos was sold as a way to insulate various materials, and also since it is chemically-inert, it can be used as a binding agent. It does all of these things, so in that sense it is not defective. However, this is not that strong of a defense since companies started advertising asbestos as being safe when people started learning of the dangers. If it was marketed as a safe product, that could be considered a purpose of the good thus making its failure to do so a defect. According to a recent news article from the Madison-St. Clair Record, a woman has just filed a lawsuit against various defendants in which she has alleged she developed malignant mesothelioma due to defendants’ negligence. She specifically alleged she was exposed during her employment ranging from the late 1970s to the early 1990s. In the course of her occupation, she was exposed to products manufactured by the various defendants and it was this exposure, which caused her to develop mesothelioma. 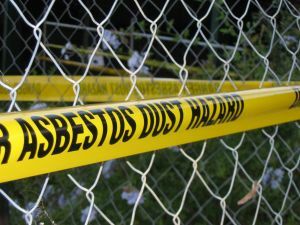 In addition to naming defendants who allegedly produced and sold mesothelioma products related to her occupational exposure, she also alleged she was exposed through her father who worked at a mining company during her childhood. When a parent or other member of a household would come home from work still covered in deadly asbestos fibers, as he or she had no reason to know they were deadly, these fibers would present a serious danger to anyone else in the home. If you are exposed to asbestos in this matter, these are known as take-home asbestos cases. Her main complaint was defendants failed to adequately warn her of the known dangers of asbestos products they manufactured. As discussed above, this is the main basis for filing many mesothelioma lawsuits including those in the greater Boston area.